The other month, Steam Punk Magazine was kind enough to offer me a slot in their periodical, to enthuse about brass and making the flea chariot. The article should be appearing in edition #6 “The Pre-Industrial Revolution” which is out now. At a staple-popping 104 pages from cover-to-cover, it’s filled with a selection of stories, poems, reviews, interviews, articles, and how-tos. An interview with British steampunk outfit ‘Ghostfire’. 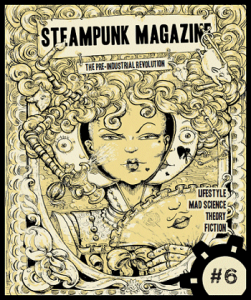 Issue #6 of Steampunk Magazine is available printed on recycled paper through the mail-order page of Strangers in a Tangled Wilderness, and also (as ever) for free download through the Steampunk Magazine website. 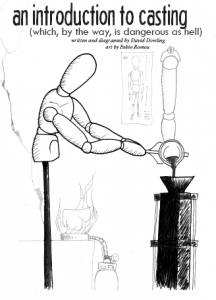 The previous edition #5 had a good article on Metal Casting by David Dowling which is worth reading.